Half-ton trucks have been making big strides over the last few years with new features and the like, but the Toyota Tundra is an exception to that rule. In fact, if we’re brutally honest, it doesn’t do anything out of the ordinary – but that isn’t necessarily a bad thing. After all, the Toyota Tundra does what’s expected of a truck of this caliber, which is of appeal if you’re after a no-nonsense pick-up that’s more than content with getting the job done without any frills or fancy additions. That does, though, mean the Toyota Tundra isn’t quite as well-specified as its chief competition, and the lack of options like a diesel engine will put buyers off. As a result, whilst we do like the Toyota Tundra as a whole, we wouldn’t go as far as to recommend it over most of the truck’s competitors. The Toyota Tundra has joined the circus of spacious interiors. Like most trucks nowadays, the Toyota Tundra has joined the circus of spacious interiors, though that isn’t quite enough to make the Toyota as commodious as most of its rivals. For sure, there’s ample head and leg room all around and the rear seats in the double cab version of the Toyota Tundra are big enough to fit a sizable posse, but rivals like the Chevrolet Silverado, Ford F-150 and Dodge Ram offer more space for the driver and passengers. The 6.1-inch touchscreen interface is a particular delight to use. Ergonomically, the Toyota Tundra fares better. The 6.1-inch touchscreen interface is a particular delight to use, thanks to its simplified menu layout and quick responses, and the big dials that control the climate control and radio audio levels are also easy to operate whilst you’re driving. Put simply, the Toyota Tundra’s control scheme shows you don’t need to be as big as your competitors to be an effective day-to-day truck. The Toyota Tundra can become a little bit unruly at times if you’re towing a particularly heavy load on rougher sections of highway. If you’re looking for the most comfortable truck on sale today, you won’t find it in the Toyota Tundra. Whereas competitors like the Dodge Ram can travel over rougher road surfaces without too much fuss, the Toyota Tundra can get particularly bumpy, no matter what speed you’re going at or which suspension setup you’ve chosen. So much, so, that the Toyota Tundra can become a little bit unruly at times if you’re towing a particularly heavy load on rougher sections of highway. At lower speeds, though, the Toyota Tundra does fare better, if perhaps still feeling a bit out of its comfort zone, and the claimed 10,000lbs towing capacity is (whilst not class-leading – a Ford F-150 can tow up to 12,500lbs) pretty competitive when compared with, say, the 7,600lbs maximum load for the Chevrolet Silverado. Plus, that stiffer suspension that results in a bumpy ride does at least translate into good body lean control when cornering. Which, when combined with the light, precise steering and good visibility (bar the blind spots generated by the thick rear pillars) makes the Toyota Tundra a truck you can place on the road with confidence. The truck feels high and visibility is good from the side mirrors and looking out over the hood. Optimal ride comfort levels aren’t easily reached with the Tundra. The 5.7-liter makes the Tundra plenty quick in a straight line, but bumpy when doing anything else. While the bumpy ride quality may get distracting at times, the truck feels high and visibility is good from the side mirrors and looking out over the hood. However, rear A-pillars can get a little invasive while looking through the rear-view mirror, more so than in the F-150. Traction becomes unstable with a large object in tow, that is the tires don’t always invite a lot of confidence. 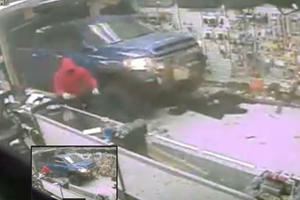 But Toyota says the Tundra is good for towing more than 10,000 pounds, depending on the trim. Though the regular Toyota Tundra is still a fairly capable truck when off-roading, it becomes far more adept at tackling rougher terrain when specified in the range-topping ‘TRD Pro’ trim. As a result of a raised ground clearance, sturdier suspension and items like front skid plates, the Toyota Tundra is extremely well suited in this guise to deal with tough trails – , the new suspension parts actually help improve the ride quality somewhat. However, as the TRD Pro trim is, at $43,000, roughly $13,000 more expensive than a regular Toyota Tundra, it’s only recommendable to buyers who genuinely need the off-roading capability. A 4.6-liter eight-cylinder gasoline engine and a 5.7-liter eight-cylinder gasoline engine. Two engines are available to specify for the Toyota Tundra: a 4.6-liter eight-cylinder gasoline engine and a 5.7-liter eight-cylinder gasoline engine, both of which are fitted with a six-speed automatic transmission. If you regularly need to tow heavy loads, then the 5.7-liter unit is the one to go for. Thanks to its superior over the 4.6-liter (381-hp and 401 lb-ft, versus 310-hp and 327 lb-ft), the Toyota Tundra with the larger engine option can both get the truck up to speed and make more effortless work of hauling heftier items than the smaller unit. 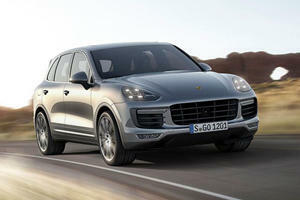 Should fuel economy be more of a concern, then the 4.6-liter may be more to your liking. Though not exactly great by class standards – the claimed figures of 14/15mpg city and 18/19mpg highway, depending on whether you go for all-wheel drive or rear-wheel drive, are way behind what more efficient rivals like the diesel-powered Dodge Ram (21mpg city/29mpg highway) and six-cylinder Ford F-150 (19mpg city/26mpg highway can return. At least both engines are very smooth, with a pleasantly linear delivery of power. 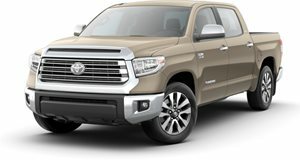 Unsurprisingly, the 5.7-liter is even worse when it comes to efficiency, with even the most frugal rear-wheel drive version of the Toyota Tundra with this engine managing 13mpg in the city and 18mpg on the highway, with a penalty of one less miles per gallon when you specify all-wheel drive. At least both engines are very smooth, with a pleasantly linear delivery of power and a keenness to settle down to a burble at a cruising pace. Better still, both engines suit the six-speed automatic transmission as well – even though, despite its smooth operation and its fast-ish gear changes, this particular transmission isn’t the best you’ll come across in this class. The Toyota Tundra comes with a decent amount of equipment as standard. As we stated earlier, the Toyota Tundra is one of the more basic trucks of this size you can buy, but that doesn’t mean you’re devoid entirely of creature comforts. On the contrary, the Toyota Tundra comes with a decent amount of equipment as standard, with even the entry-level, $30,030 ‘SR’ models coming with a reversing camera, a ‘trailer sway control’ stability system, cruise control, heated side mirrors and daytime running lights. Our pick, however, would be the $33,100 ‘SR5’ spec, which includes all of those prior items with features like an upgraded infotainment system, fog lights, extra practicality as a result of having an extra row of seats. Specify the $1,540 ‘SR5 Upgrade Package with options”, which introduces built-in navigation, satellite radio, a power-adjustable driver’s seat and a tilt-telescopic steering wheel, and you’re left with a Toyota Tundra that we feel most buyers will be happy with. It’s also worth pointing out that the Toyota Tundra is one of the more expensive trucks in this class. The Toyota Tundra does lack in crucial areas like fuel economy, towing capacities, ride comfort, outright interior space and – perhaps most crucially of all – value for money. 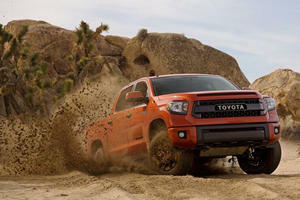 When compared directly against its rivals from Chevrolet, Ford and Dodge, the Toyota Tundra does falter quite a bit. Though by no means a bad truck, the Toyota Tundra does lack in crucial areas like fuel economy, towing capacities, ride comfort, outright interior space and – perhaps most crucially of all – value for money. Still, there are areas that the Toyota Tundra does rather well. For instance, it’s ergonomically one of the most well-rounded trucks in this segment, and we’re particularly impressed with the Toyota Tundra’s off-road capabilities. Plus, though not class-leading, the towing capacity is still fairly good by segment standards. Alas, whilst those attributes are nice to have, they aren’t enough to quite overcome the Toyota Tundra’s deficiencies. Unless the more back-to-basics approach appeals to you, we’d hesitate on recommending the Toyota Tundra over its chief competitors. The Tundra doesn’t do anything new, break any records nor does it look particularly spectacular. Next to the Ford, Chevy and Ram, and the features those trucks offer with newer technology, it doesn’t look too good for the Toyota. However, the Tundra might not need to offer anything new. The good news is the Tundra is an option for people who hold no loyalty towards any particular truck brand. It’s for the construction worker, trailer owner and person who hauls motorcycles to race tracks who just wants a basic truck that doesn’t play the competition game. A basic truck is an option that needs to exist, and it’s up to Toyota to come up with a way to keep the Tundra relevant. Be that as it may, the trim we recommend is the SR5. It has all bases covered, including the price. A few things might suffer, like the handling compared to the TRD, but otherwise the SR5 is a solid choice and will do whatever job is thrown at it. Perhaps we’re being a bit cynical with it being such a simple truck and not having something unique to help it compete. That aspect alone might provide enough incentive to help sell the Tundra. The Fast and Furious movie theory seems to be inspiring more criminals by the day.